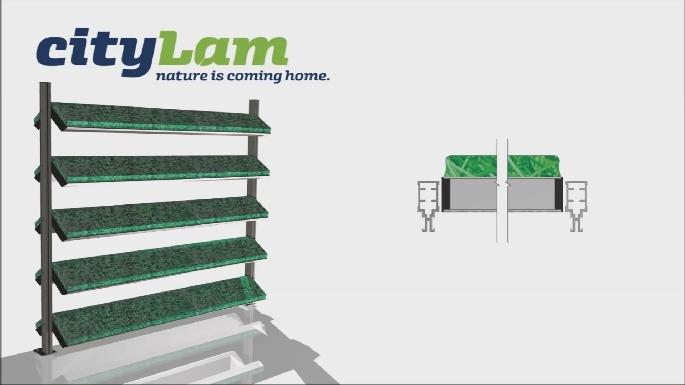 With cityLam System Greening the nature comes back to town. 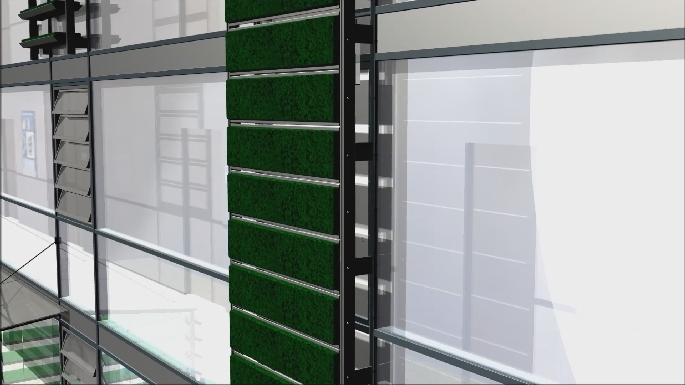 Individually planted modules will be installed as fixed or movable modules on the façades of buildings or warehouses, or set up as a partition, for example, in stations and airports. 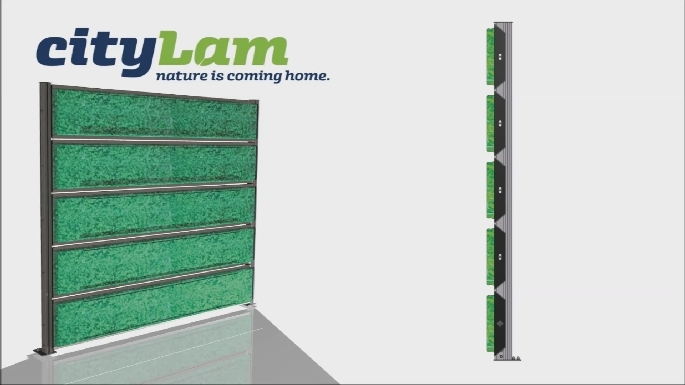 When placed in the vertical position, the mobile version appears to be a green-planted wall. 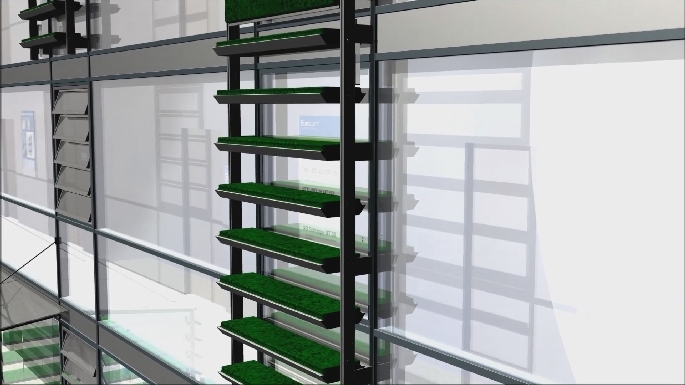 When placed horizontally, the modules can be automatically watered. 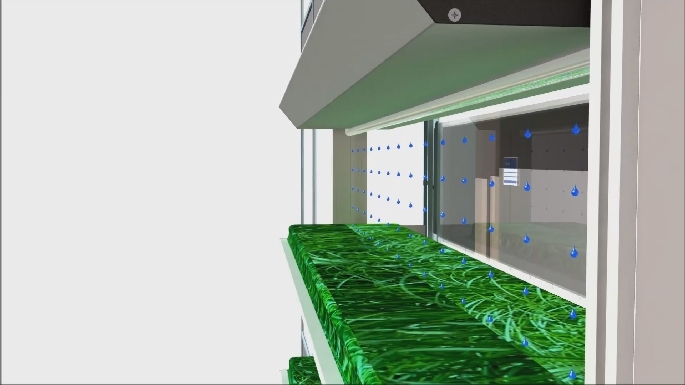 The green areas newfound lead not only to excellent cold, heat, or noise protection, but because of their carbon footprint, they can be used as ecological compensation areas. 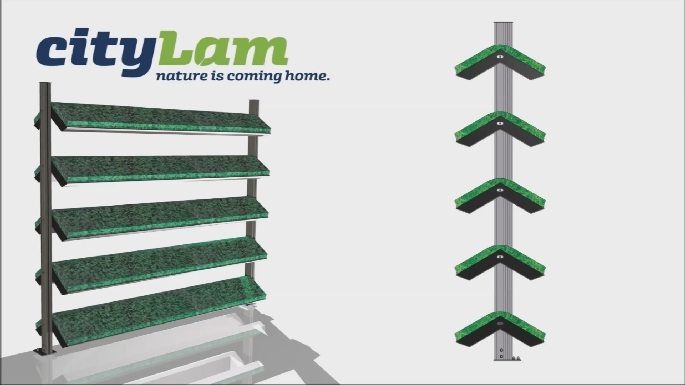 cityLam System Greening is unique in the world and comes from Wiegendorf in Thuringia, the green heart of Germany. 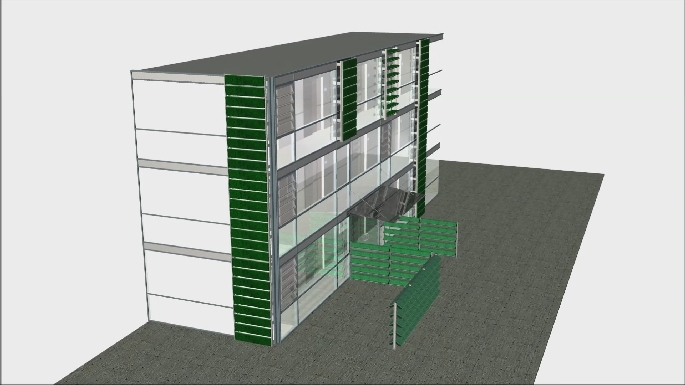 A study for the installation of cityLam green louvre on the façade.